This one is an immense battle. Both Sony Alpha a6000 and Samsung NX500 are extremely famous on the market, widely well-known as mirrorless digital cameras that hold huge value, with the impressive specifications and features. Nevertheless, Samsung NX500 is a little more expensive than Sony Alpha a6000. 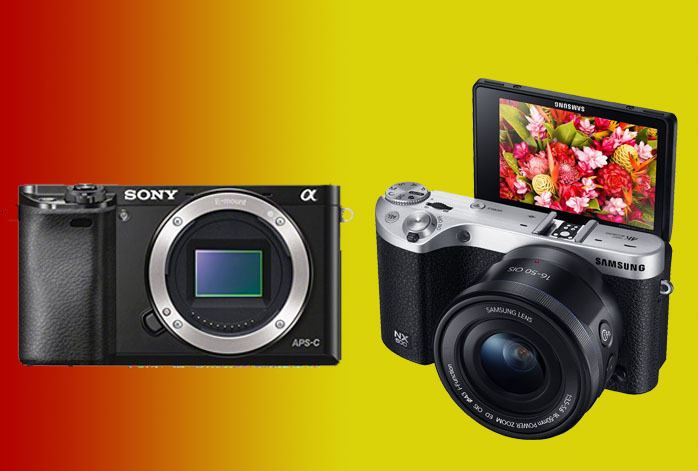 Does it mean that Samsung NX500 is better than Sony Alpha a6000? Or not? Let us see! Samsung NX500 comes with 209 focus points, with phase-based and contrast-based movement detections Sony Alpha a6000 also has phase-based and contrast-based autofocus system, but only has 179 focus points. These numbers are both very abundant, and both models can greatly help you capture more fine details and pronounce more objects in your pictures. Samsung NX500 has a nice edge in sports photography by boasting a maximum shutter speed of 1/6000s and a continuous shooting speed of 9 fps. With proper timing, you can capture excellent pictures with it. Unfortunately, its RAW buffer capacity is quite limited with only 6 shots maximum. On the other hand, Sony Alpha a6000 only has a maximum shutter speed of 1/4000s, but comes with 11 fps photo burst and 22 shots maximum RAW buffer capacity. In the end, Sony Alpha a6000 can give you better performance and endurance for long sessions. Though not everybody loves a built-in flash, it is still a great thing to have that can be handy at times. Sony Alpha a6000 has a built-in flash, while Samsung NX500 lacks it. Nevertheless, both models each has an external flash shoe. Last but not least, Sony Alpha a6000 can actually be better than Samsung NX500 for landscape and HDR photography because of the wider AE bracketing range. Sony Alpha a6000 has plus-minus 5 EV AE bracketing range, while Samsung NX500 only has plus-minus 3 EV. In general, Samsung NX500 indeed is able to deliver exceptional image quality. However, Sony Alpha a6000 makes up the gap by coming with more in-depth features. Thus, for the fullest value for your money, you can choose Sony Alpha a6000!